Adrian Covic is a Professor of Nephrology and Internal Medicine at the “Grigore T. Popa” University of Medicine and Pharmacy, the Director of the Nephrology Clinic and the Dialysis and Transplantation Center in Iasi, Romania. His main areas of interest are cardiovascular complications in renal disease, CKD-MBD, renal anaemia, peritoneal dialysis, and acute renal failure. In my opinion, as a hypertension enthusiast myself, the absolute winner in the Hypertension Region is the Battle of the Guidelines. First of all, hypertension is the main preventable cause of cardiovascular (CV) disease and death worldwide. Thus, the topic of hypertension guidelines is one of extraordinary importance for all physicians and especially for cardiologists and nephrologists. 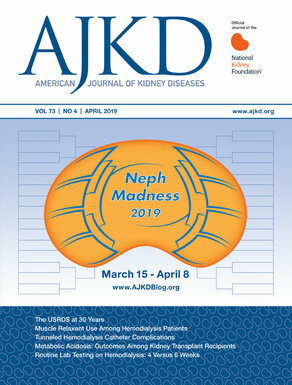 Approaching this subject from a nephrologist’s point of view is imperative as it emphasizes a huge pitfall in both guidelines: neither of them received official input from the European Renal Association or the American Society of Nephrology. Furthermore, the main topic of debate arises from the definition of hypertension itself. Behind this controversy lies the SPRINT trial and the different interpretations of its design and results on both sides of the Atlantic Ocean. Certain aspects deserve to be mentioned regarding these different positions. First of all, starting with the basics, an important debate derives from the way blood pressure (BP) was measured in SPRINT. If every major hypertension trial so far measured BP in the presence of a healthcare professional for three separate times, in SPRINT the healthcare professional was required to leave the room before measurements started. This unvalidated method makes it hard to compare results with previous trials and there are data suggesting that the target of 120 mm Hg used in SPRINT is actually comparable to the target of 140 mm Hg used in previous studies. I find this specific aspect of extreme importance in clinical practice and every physician should bear this difference in mind when reading and interpreting SPRINT. Secondly, SPRINT provides us with an indisputable proof that intensive BP treatment has beneficial effect on most of the major CV outcomes. The study was stopped early due to positive results, and this led to its huge impact in the recent published guidelines. Despite the increased risk of hypotension, syncope, electrolyte abnormalities, and AKI in the intensive treatment group, we have to admit that it is easier to prevent and successfully manage any of these adverse effects than a mortality event. Therefore, I find it extremely important for the medical community to have access to and be aware of every single aspect of the design of this capital study and its impressive results. Regarding the management of hypertension in CKD, the US guideline definitely is a step ahead in front of the EU guidelines. Citing a recent (2017) systematic review that encompassed the results from SPRINT, the US guideline recommends a target of < 130/80 mm Hg for CKD patients, regardless of the proteinuria levels. On the contrary, the EU guidelines recommend a target of < 140/90 mm Hg, basing that recommendation on “recent” literature (2011 and 2013) that did not include the SPRINT results published in 2017. A major pitfall of both guidelines is the lack of recommendation regarding hypertension approach in hemodialysis. As for kidney transplantation, the EU guidelines provide no recommendations, whereas the US guideline opts for the same target of < 130/80 mm Hg and recognizes the role of calcium channel blockers for better kidney survival. Finally, I appreciate the section dedicated to other highlights of the guidelines that often do not receive the attention they deserve. For example, unlike the US guideline, the EU guidelines address the issue of smoking cessation and monitoring binge drinking as possible CV risk factors and maintainers of high BP despite pharmacological treatment. On the other hand, the US guideline recommends an enhanced potassium intake and discusses benefits of dynamic and isometric resistance exercise in addition to aerobic exercise (that the EU guidelines restrict to). This is particularly important given the recent published network meta-analysis that states that the BP-lowering effect of exercise among hypertensive populations appears similar to that of commonly used antihypertensive medications, recognizing that further studies are needed to confirm this finding. Of course, I would also like to congratulate the Hyperaldo team for their approach on such a provocative pathology.